Cabbage is one of the most versatile vegetables! Learning how to cook cabbage opens a new world of culinary delights to any home cook! In this Ultimate Guide to Cabbage we will explore this vegetable, which is a kitchen staple at my house! In addition to our favorite cabbage recipes, you will learn how to select the best variety of cabbage for your recipe as well as how to freeze & cook cabbage! Cabbage is economical, packed with flavors and both nutritious and delicious! 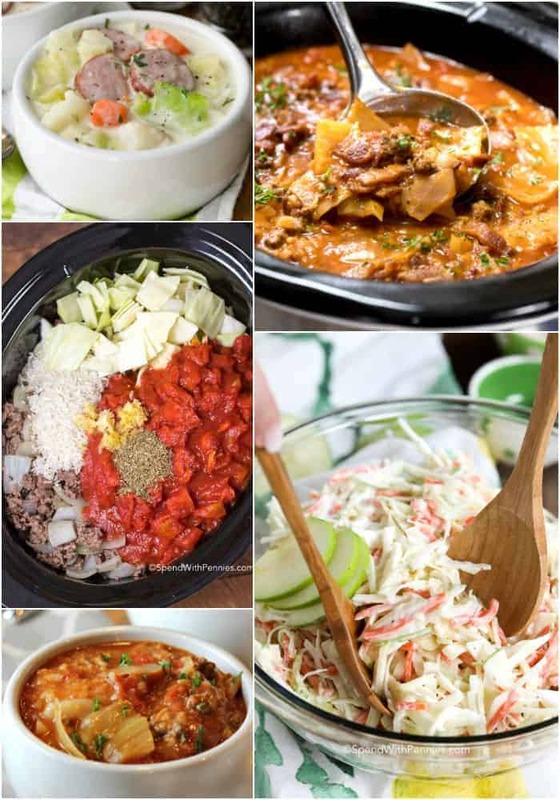 There are countless cabbage recipes to make, from creamy cabbage soup, to corned beef and cabbage and of course a traditional Cabbage Roll recipe! I’m often asked not only how to make cabbage but how do you make cabbage taste good! Cabbage has a delicate, almost sweet, flavor which lends itself well to soups, stews, casseroles and salads. Cabbage can be eaten raw or cooked and it’s relatively inexpensive making it a great way to stretch a meal! To start off you’re going to want to ensure that you are getting the right variety of cabbage for your recipe! While there are roughly 400 varieties of cabbage (wow, crazy huh!?!) below are some of the most common types used in North America. Ideal for casseroles, soups, coleslaws and cabbage rolls. This is the most commonly used cabbage and can be enjoyed raw or cooked. Red cabbage is great braised, roasted or added to coleslaw. 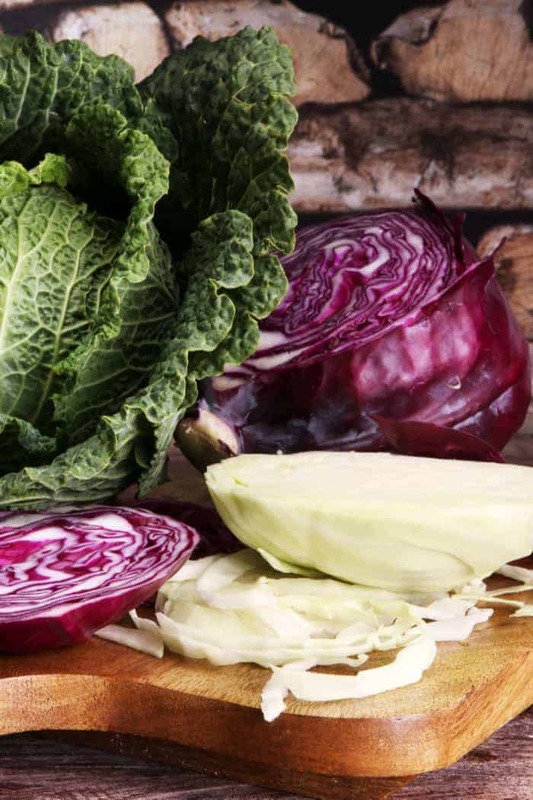 Red and green cabbage taste almost identical so they are easily interchangeable in recipes. If using red cabbage, the use of a sharp stainless steel knife and a little bit of acidity (such as vinegar or lemon juice) when cooking will help it preserve its color. It is best used as wraps and in stir fries. Because of it’s curly nature, savoy cabbage is less dense than green or red cabbage. When savoy cabbage is cooked, it is slightly more tender than other types of cabbage. It is great made into kimchi or incorporated into stir fries or even into Ramen Noodle Salad! Napa Cabbage is a type of cabbage that almost looks like a head of lettuce. It is also referred to as celery cabbage, or Chinese cabbage. When you are at the grocery store or market, look or heads of cabbage that are firm with tightly curled leaves. After picking up a head of cabbage it should feel heavy for the size. This is a good indication that you are getting a fresh head! The leaves should be shiny and crisp without cracks or blemishes. When you get your cabbage home, leave it whole until you are ready to use it. It is best stored in the crisper to keep it fresh and while not required it may last longer kept in a perforated plastic bag. Cabbage should not be stored with fruit as fruits emit ethylene gas which, according to the Ministry of Agriculture, can cause the cabbage to discolor. Cabbage will generally last 2-3 weeks in your fridge, keep it in the crisper to help keep it fresh. If you are storing a partial head of cabbage, make sure you’ve wrapped it tightly in plastic wrap so it retains its moisture. Cabbage freezes well, which means that you have a nutritious and low-calorie food year round that is easily incorporated into many dishes. Cabbage can be frozen for several months. While frozen cabbage is perfect to use in any cooked cabbage recipe, it is not recommended for salads or coleslaw. Freezing cabbage will preserve the cabbage but as with most frozen vegetables, the texture will change (soften). Cut your cabbage into wedges before freezing. Blanch your cabbage wedges for about 60 seconds for shredded cabbage and 2 minutes for cabbage wedges. Immediately plunge it into ice water. Allow your cabbage to dry slightly and package it into tightly sealed packages or freezer bags. If you are preparing cabbage for use in cabbage rolls and want the whole leaves, place your entire head of cabbage in the freezer. To use allow to defrost overnight in the refrigerator. The leaves will be soft and pliable with no boiling required! Remove any thicker, wilted, or discolored outer leaves while rinsing under cold water. Cut your cabbage head into wedges. Chop your cabbage as desired, watching for any imperfections in the leaves as you go. Layers of tender cabbage, rice and lean beef smothered in a zesty tomato sauce. Cabbage, rice (or riced cauliflower) and beef topped with tomato sauce and a delicious cheesy topping. Potatoes, fork tender pork chops and delicious sauerkraut create the perfect meal in just one pan! Sweet tender cabbage, bacon and sour cream topped with cheese and cooked until golden brown and bubbly. Cabbage and corned beef are sandwiched between two thick layers of Swiss cheese kissed mashed potatoes. 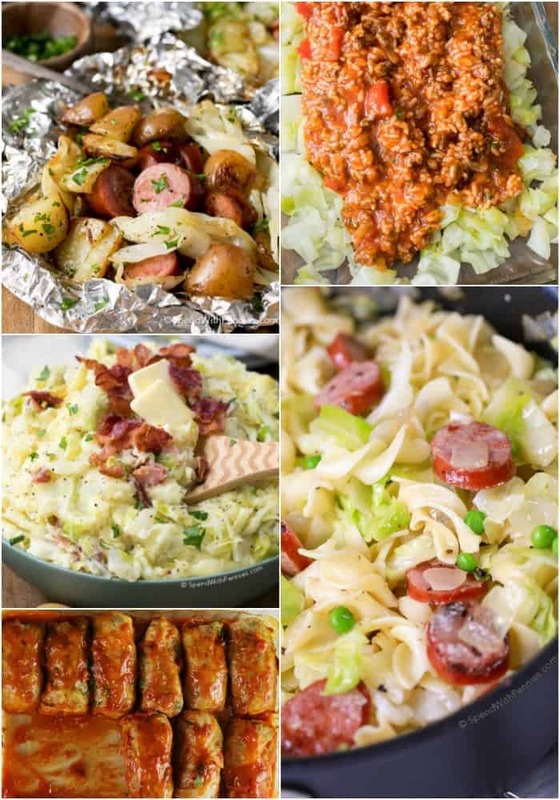 Cabbage, potatoes and sausage cooked in individual packets on the grill or in the oven. 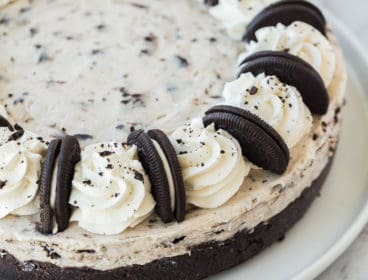 Perfect all year long! A classic combination of flavors, cabbage stuffed with beef, rice and topped with tomato sauce. A simple skillet dinner combining sweet tender cabbage, sausage and egg noodles. A simple 20 minute meal in one pan! Smoky Kielbasa sausage with tender cabbage and potatoes. A quick and easy Thai inspired dish loaded with cabbage, and veggies in a peanutty sauce. Perfectly tender corned beef with cabbage and potatoes, this is the perfect feast for any day of the year! An all time favorite, a rich tomato broth with pork, beef, rice and loads of sweet tender cabbage. A simple twist on a classic dish, add your favorite ingredients and let your slow cooker do all of the work! This delicious soup is chock full of veggies for the perfect lunch or side! 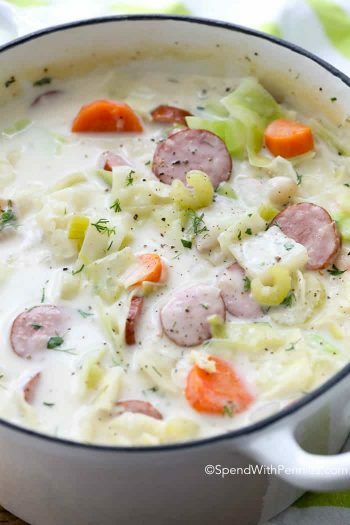 Cabbage, sausage and potatoes are simmered in a velvety cream sauce for a family favorite meal! This rich and delicious soup contains our favorite cabbage roll flavors in a rich tomato broth. It’s like a hug in a bowl. This hearty soup is full of flavor and it’s filled with far more vegetables and meat than broth. A traditional Irish dish containing velvety smooth potatoes, smoky bacon and tender fried cabbage. 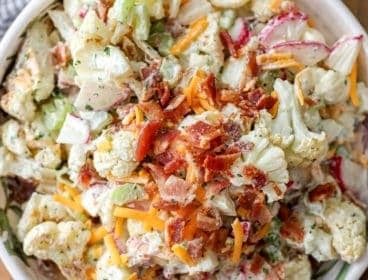 A potluck staple, Ramen Noodle Salad is an easy twist on an Asian inspired coleslaw! 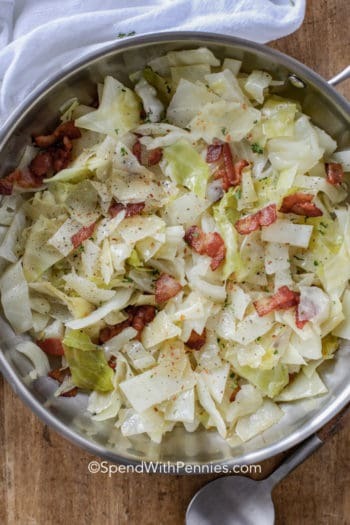 Tender cabbage and crisp smoky bacon. This easy side comes together in just minutes. This salad is full of flavor and easy to prepare in less than 20 minutes! Red and green cabbage with carrots create the perfect no frills coleslaw. 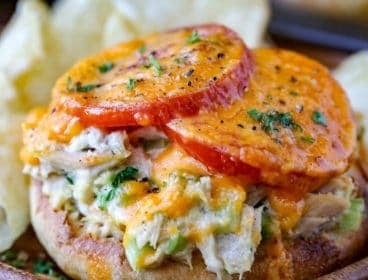 Great as a side or to top your pulled pork sandwiches. Crisp Granny Smith Apples pair perfectly with fresh crunchy cabbage and carrots. 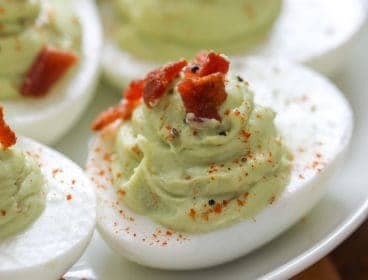 This is a perfect side to any bbq! Healthy, vibrant sautéed vegetables loaded with the flavor of ginger and sesame. What are the benefits of Cabbage? Cabbage is a low-calorie superfood packed with Vitamins C and K, iron, and sulfur. According to Medical News Today, Cabbage is said to have many well-known cancer-preventative compounds, and help with high blood pressure . Raw cabbage is delicious and has many health benefits. 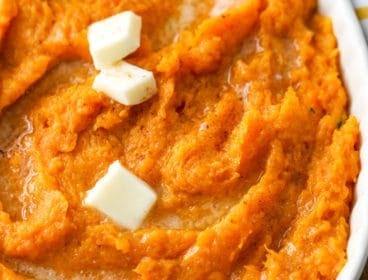 It makes a great addition to many salad recipes. If you find your raw cabbage is bitter, remove the excess moisture from the leaves by salting them in the fridge for a few hours. Rinse before using to remove the salt. Is Cabbage Good for you to lose weight? Cabbage contains only 15 calories per cup and is loaded with fibre while being low carb. 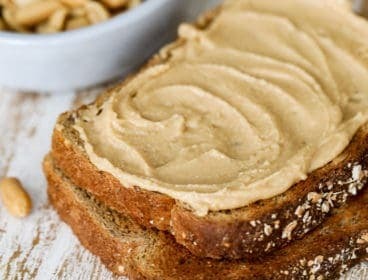 Can it actually help with weight loss? Truthfully, cabbage itself will not stimulate weight loss. 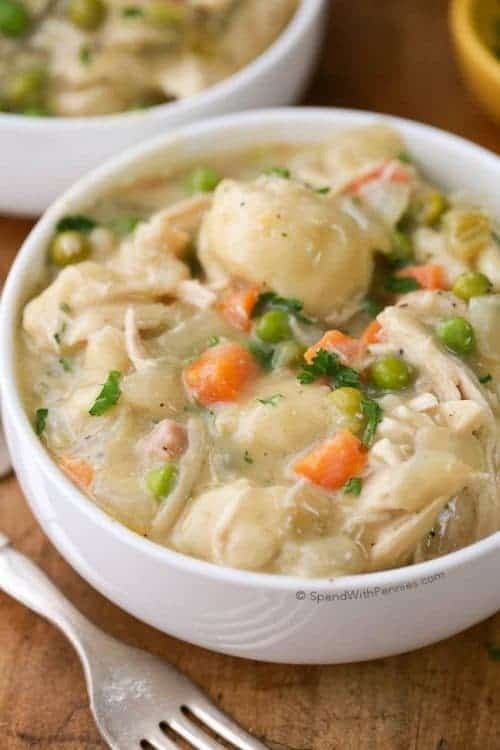 The cabbage soup diet has been a popular diet for many years however, consuming a diet that is more well rounded has been shown to have better results long term. Cabbage can certainly be incorporated into most weight loss programs as cabbage is a delicious and low calorie addition to a healthy diet. I personally make a low calorie Weight Loss Vegetable Soup Recipe containing lots of cabbage which helps me feel full. Eating a bowl before a meal also helps me keep my calories in check!